There is a huge misconception that for a woman to lose weight, she should drop her calories to 1,200 a day. While that might work to initially drop some weight, continuing to have such a low calorie intake can be harmful to a woman’s metabolism. This weight-loss myth perpetuated from the warning that 1,200 calories is the minimum amount that a human should consume to avoid severe negative health consequences from malnutrition. Food is fuel for the body. It’s what makes us go. Just as a car would not be able to move and function without gas, our body cannot move, heal or operate without nutrients to turn into energy. Your body does not know the difference between diet and starvation. To survive, it will drop its metabolism to meet the lack of nourishment. When your body does not believe it will receive enough fuel, it WILL NOT use fat stores as a fuel source. Instead, it will burn off muscle, which it sees as an expensive option to keep. Someone who weighs 250 pounds may initially drop weight when existing on a low-calorie diet, but will plateau at some point and struggle to get any further. Think about your body like a vehicle— the smaller the car, the smaller the gas tank. A person at 250 pounds and someone at 150 pounds have very different caloric needs. If you start at a low intake of calories, you have no way to walk your calories down as your weight starts to drop. Fat is the operative word here. Fat is your body’s way of protecting itself. Fat protects our organs. It stores the excess food, toxins and helps us maintain body temperature. When our body feels it is not receiving enough fuel, it maintains body fat in order to protect and sustain life. Some body fat is healthy and necessary. But many of us carry more than we need due to making less than healthy choices on a regular basis. 1. Base your calorie intake on your energy output. Using a tracking device such as a Fitbit, find your average daily calorie burn. If your goal is to “lose weight,” set your goal to eat a calorie deficit of around 500-800 calories. 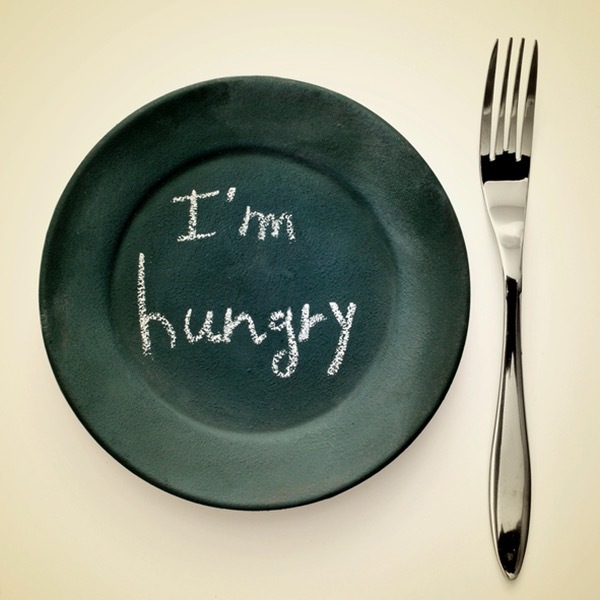 Regularly hitting more than a 1,000-calorie deficit can trigger starvation. 2. Quality of calories and macronutrients matter. (Would you put crappy gas in a sports car?) Clean, whole foods contain vitamins and minerals your body needs. Processed and fast foods tend to be void of nutrients as well as being more quickly absorbed and stored in the body. 3. Stop focusing on instant results. You can’t undo 20-30 years of choices in three weeks or even three months! Give your body time to burn off excess fat and run optimally. 4. Respect your body. Have patience and compassion for it. It works hard for you. It is OK to want to have a healthier, fitter body. It is not OK to hate yourself or believe you are bad. 5. First, fix your head. Put yourself in a good place mentally and emotionally. It will make reaching your goal so much easier. Plus, fixing the habits and reasons that got you so far off track will help you stay at your goal once you get there. Focus on how you feel and how your body responds to food. And remember that you are what you eat. The cleaner and healthier you eat, the better your body will run. *This article contains opinions from the author and is not meant to diagnose, treat or cure any medical condition. Melissa Fillmore is a former NPC National level Figure and Women's Physique competitor. She is a personal trainer, health and wellness coach and owner of Fillmore Fitness, LLC in Pasco, Washington. Melissa lives with her husband Craig and 4 of her 5 children. The oldest is currently serving our country in the Marines.